​A paradigm shift in your thinking will cause you to see that kindness is easier than hate. Hate uses up so much energy! The WHY is always more important than the WHAT. The WHY motivates us to do the WHAT. Relationships happen in the arena of the soul. Minds absolutely must connect before bodies ever do, or else it’s out of sync with the soul. 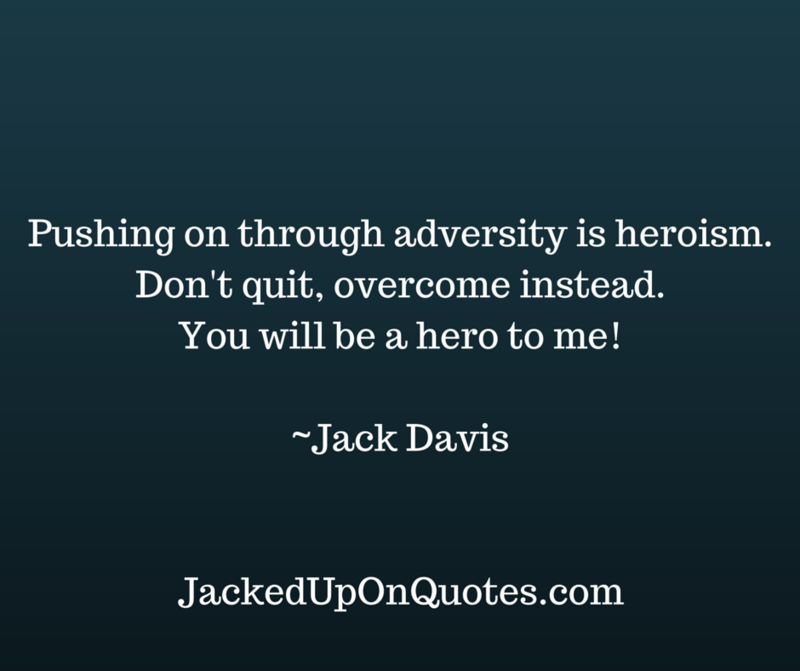 Pushing on through adversity is heroism. You will be a hero to me!